India lags the world in funding artificial intelligence startups but still has the opportunity to attract investment and make greater use of AI and allied technologies, said Kotak Mahindra Bank's chief digital officer Deepak Sharma at the News Corp VCCircle Payments Summit. 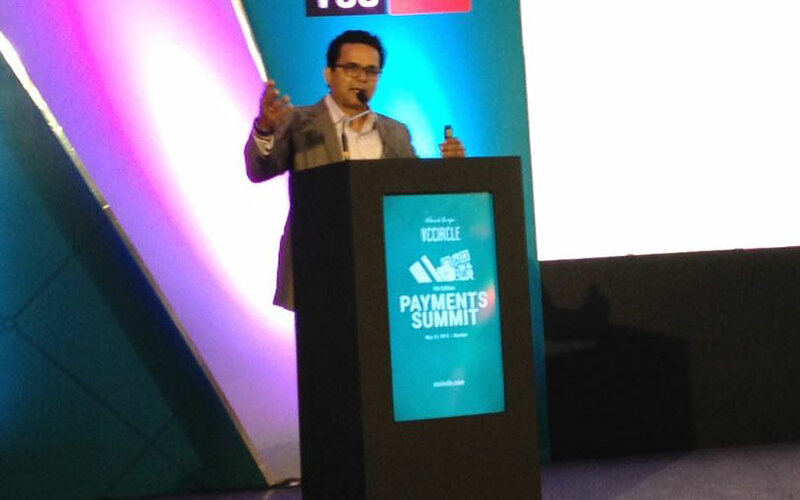 The seventh edition of the annual event was held at Taj Lands End in Mumbai on Wednesday, where top executives from leading payments service providers, banks, and private equity and venture capital firms debated the future of the payments industry. Kotak's Sharma addressed a packed audience on the theme of 'Emergence of AI, VR, Blockchain and their impact on the payment and fintech industry'. He said that the AI space is another battle that India appears to be losing at a time when China and the US collectively account for 87% of the global share in AI startup funding. "AI as technology has already emerged and is already here. As we look at the space, be it share in startup funding to scalability and patent filing, we realise that India lags the world," Sharma said. "What India is really doing in artificial narrow intelligence and AI still offers a huge opportunity for firms to look at from narrow AI to actual AI." As part of the address, Sharma also highlighted the example of Chinese startup Magvii, a facial recognition development firm, that has access to facial data records of 1.3 billion Chinese citizens. Megvii, more commonly known as Face++, raised $460 million in October last year as China looks to build the most powerful facial recognition system in the world. Megvii is backed by the Chinese government besides state-run Chinese firms and corporate giants such as Foxconn that makes chips for smartphones brands like Apple. "Imagine the scale we are talking about here. This leads to AI getting embedded in mobile devices," Sharma said, adding that this data and technology can then be used for selling various financial products or the payment and transaction ecosystem. "AI is deeply embedded in China. This technology can help in identifying financial defaulters to criminals or potential customers to whom you can lend," Sharma said. Sharma said that while allied technologies such as blockchain and virtual reality are still emerging, AI will become a channel for payments and the fintech industry in the near future just as present-day channels such as websites and mobile apps. Sharma also highlighted the need to have smart supercomputers or devices that can comprehend data for a much more efficient AI system. "Today, there is richness in data because a majority of data has been generated in the past two-three years. Along with data generation, data storage has become inexpensive. What we need is supercomputers that can make sense of data for AI to work," Sharma said.